Pardot is a marketing automation platform owned by Salesforce. Pardot has two extra steps in addition to the usual integration process, which will be broken down in this article. To begin, follow the steps outlined in our App Center Help Article. You will notice that in addition to your authentication information, your Pardot connection will also ask for a User Key and a Campaign ID. To obtain the user key, open Pardot and go into the Settings menu. You will find your user key in the "My User Information" section of your settings page. Copy your User Key, and paste it in the User Key area in your Integration Box in the app center. Next, you need to get your Campaign ID. 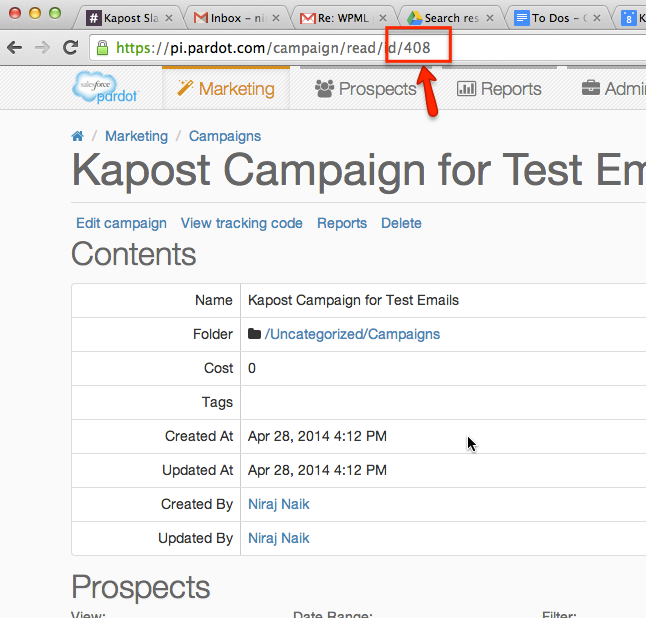 Here is some background on this: In order to send test emails from Kapost and preview them in your own inbox, you will need to set up a "test campaign" in Pardot. This test campaign will be used for all test emails sent out of Kapost. After you've set up your test campaign, click into it and look at the URL. The Campaign ID is the number at the very end of that URL. 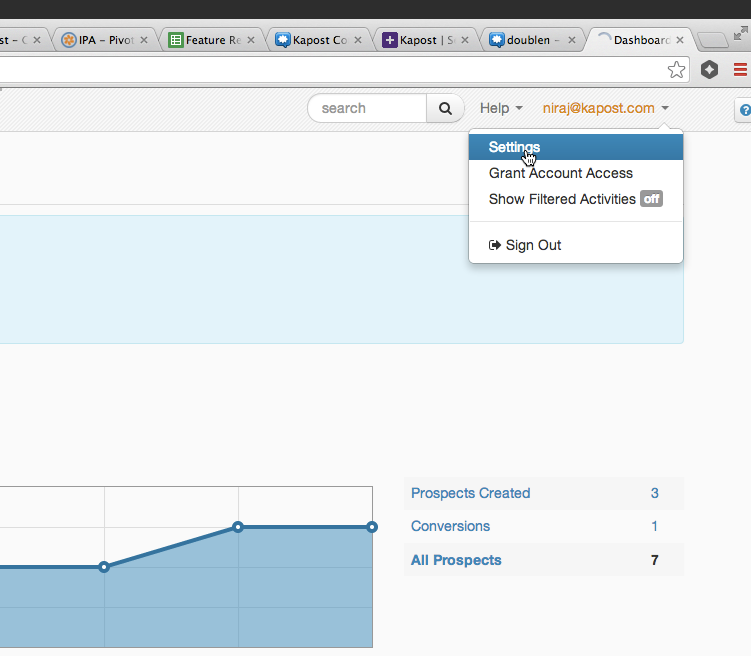 Add that number to the Campaign ID section of your Integrations Box. You can now click connect! Typical use cases include email asset management. It can be used for workflow around email creation. Pardot does provide the ability to pull the iframe into Kapost for Kapost users to view and collaborate. You cannot edit a Pardot email within Kapost or publish it. This must be done from within Pardot. There is no ability to pull "draft" emails into Kapost, only "sent" emails can be pulled in. Landing pages are not supported within Kapost/Pardot and you are unable to pull in the iframe for a Pardot landing page. Please contact your Success Team for possible workarounds. 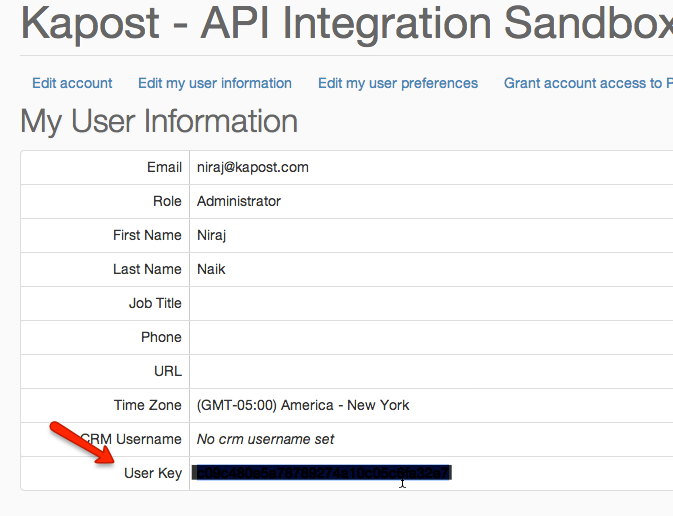 2) Look up the username(s) they are using to connect Kapost to Pardot (i.e. the username they use in the App Center on the Settings page). For more information on using Pardot in Kapost, read this article.